In JKR's Wizarding World, one comes of age at 17; as FictionAlley reaches its 17th year this week, it's time for the fic and art to move to a larger database - the Archive Of Our Own. Forums/Park posts, blogposts, tutorials and pre-2006 essays will stay at FictionAlley.org. Open Doors will be working with FictionAlley team to import FictionAlley into a separate, searchable collection on the Archive of Our Own. 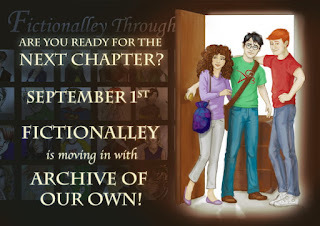 As part of preserving the archive in its entirety, all fanfiction, fanart and HPInkPot essays currently on FictionAlley will be hosted on the OTW's servers, and embedded in their own AO3 work pages. Eventually, redirects will be set up from the original archive to the AO3 collection. 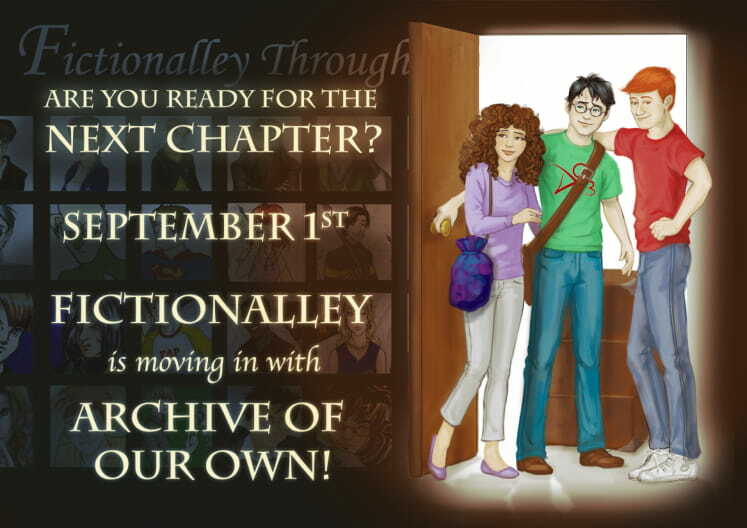 We will begin importing works from FictionAlley to the AO3 after August. What does this mean for creators who have work(s) on FictionAlley? You already have an AO3 account and have imported your works already yourself. You’d like to import your works yourself (including if you don’t have an AO3 account yet). You would NOT like your works moved to the AO3. You are happy for us to preserve your works on the AO3, but would like us to remove your name. You have any other questions we can help you with.